(AP) - Cheap oil will be sticking around for a while. Oil has fallen from $107 to below $30 in the past 19 months. Furious production by the U.S. and OPEC led to an oversupply. Recently, a sluggish global economy has spurred concerns about demand. U.S. households have saved hundreds of dollars on gasoline and heating oil. That's money they can spend in other areas of the economy. Businesses such as airlines that burn large amounts of fuel have reaped savings in the billions. But energy company profits have plunged, as have their stocks. Layoffs and spending cuts by oil drillers have offset some of the boost from steady consumer spending. Meanwhile, states like Alaska and North Dakota need to plug big budget gaps. The Energy Department expects a decline in U.S. oil production, but says oil will only average $38 this year. For new mines in Alberta's oil sands to cover costs, oil needs to be $85 to $95 a barrel, according to IHS Global Insight. Western Canadian Select oil sands crude recently traded around $15. Canadian oil companies have slashed budgets, laid off tens of thousands of workers and cut dividends. A Bank of Canada report says companies see dramatic change for the global industry, with weaker companies restructuring or exiting the oil business, while healthier companies buy distressed assets. Canada's dollar is down 20 percent versus its U.S. counterpart. Prices for imported groceries have risen and Canadians are reconsidering a U.S. vacation. Mexico is better insulated nowadays from an oil collapse. Oil accounts for 20 percent on national revenue, compared with 40 percent up until 2012. 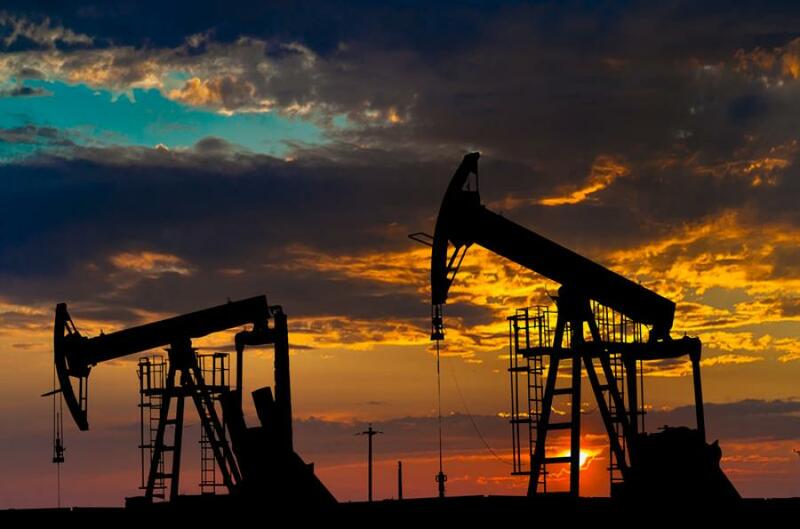 However, the country has postponed or canceled some oil projects, and delayed auctions for deep water exploration and production oil contracts, as part of its historic energy reform. _ David Koenig, Dallas; Rob Gillies, Toronto; Eduardo Castillo, Mexico City. Saudi Arabia and Iraq have been furiously pumping oil, per OPEC's decision to maintain robust production. Their hope is that the 12-year lows in crude prices will push more expensive producers, such as U.S. shale drillers, out of the market. OPEC's production rose by an average 1 million barrels a day in 2015. Now Iran, free of Western sanctions, plans to boost production by 500,000 barrels a day. Saudi Arabia cut back on some fuel subsidies and anticipates an $87 billion budget shortfall this year. It's dipping into reserves to finance a war in Yemen. An initial public offering of at least a part of the giant state-run Saudi Arabian Oil Co. is under consideration. Iraq diverted money from construction projects to fund a costly war against the Islamic State. Baghdad also started discussions with international oil companies operating in the oil-rich south to revisit the terms of their service contracts. Iran's economy was slowed by the sanctions over its contested nuclear program. While sanctions relief has been slow to reach the average Iranian, the country is aggressively moving forward with business deals. China's economy grew by 6.9 percent in 2015, the country's slowest rate in 25 years, raising concerns about global economic strength and contributing to the oil price decline. Still, China's economy is hardly collapsing. The International Energy Agency predicts oil consumption in China will grow 3.4 percent this year, down from 6 percent in 2015. With a growing emphasis on the services sector, China should see less oil demand from heavy industry and construction. That will likely be offset by growing car ownership and more demand for petrochemicals. China is the world's fifth-biggest oil producer, but financially strapped state-owned oil companies are likely to cut production. For most of Asia, plunging oil prices have alleviated heavy costs for imported oil and gas. For exporting nations, low oil helps and hurts. Auto exports to countries like the U.S. are profitable. But countries such as Brazil and Russia are tightening their belts after splurging on consumer goods from Asia when commodity prices soared. In Japan, consumers are paying less for energy, but lower energy prices are hindering the government's battle against deflation. _ Elaine Kurtenbach, Tokyo; Joe McDonald, Beijing. Low oil prices are a boost to the European economy, which is a net importer of oil and gas. It helps consumers in two ways: by making fuel cheaper and lowering the cost of making goods. That lower cost feeds through to help bring down consumer prices in shops. Analysts at Capital Economics say lower oil prices boosted GDP in the 19-country union by about 1 percentage point last year. That's significant, considering the European Central Bank forecasts the eurozone economy grew 1.5 percent in 2015. However, the low prices hinder the European Central Bank's effort to get inflation back up toward to around 2 percent. Some fear that a prolonged period of low inflation can encourage consumers to put off spending in the knowledge that goods won't get more expensive. Russia's economy shrank by 3.7 percent last year, its worst contraction since 2009. Oil and gas together contribute about half of state revenues. The government now anticipates cuts to the budget for fiscal 2016, which is based on an oil price of $50 per barrel. Poorer Russians are already feeling the squeeze from falling wages and last year's rapid rise in food prices, driven by Russia's “anti-sanctions” ban on Western food. There is government talk of partly privatizing state companies, but powerful state corporation bosses likely would object. Meanwhile, costly plans to drill in the Arctic, once a source of pride for the Russian government, are on ice. Even so, Russian oil production hit a post-Soviet high of 11.1 million barrels a day in 2015, according to the International Energy Agency, which expects production to tail off somewhat as 2016 proceeds. Across Latin America, drilling projects are being shelved and governments are slashing spending. The IMF is predicting a second straight annual contraction in the region's economies. The last time growth was negative for two straight years was in the debt crisis of the 1980s, which was partly fueled by an oil bust. Venezuela is the nation hardest hit. The government earns 95 percent of its export income from oil _ and its economy was already unraveling before the plunge in oil prices. Long lines for food and other scarce goods are commonplace. In Colombia, oil income is expected to be practically nil in 2016. For smaller countries in Central America and the Caribbean that import oil, the lower prices are a relief. These are sobering times for Africa's two biggest oil producers. Oil previously provided 80 percent of government revenue in Nigeria and 70 percent in Angola. Nigeria's 2016 budget is double that of 2015 and based on $38 oil, so the government plans to borrow heavily. Angola's budget is based on a price of $40, down from an earlier benchmark of $81. Both countries' currencies have plunged against the dollar. The depreciation has resulted in higher food prices. Now both countries are trying to diversify their economies. Nigeria's government has vowed to focus more on agriculture, mining and massive infrastructure developments to create jobs. The two countries will reap some savings by cutting fuel subsidies.